Dailybuzz.ch: Stella Liebeck Spilled Coffee On Herself At McDonald's, Then Sued For $2.9Million And Won! Stella Liebeck Spilled Coffee On Herself At McDonald's, Then Sued For $2.9Million And Won! In 1992, Stella Liebeck spilled scalding McDonald's coffee in her lap and later sued the company, attracting a flood of negative attention. It turns out there was more to the story. More than 20 years ago, 79-year-old Stella Liebeck ordered coffee at a McDonald’s drive-through in Albuquerque, N.M. She spilled the coffee, was burned, and one year later, sued McDonald’s. The jury awarded her $2.9 million. Her story became a media sensation and fodder for talk-show hosts, late-night comedians, sitcom writers and even political pundits. But cleverness may have come at the expense of context, as this Retro Report video illustrates. And below, a consumer affairs reporter for The Times reflects on how the world has changed since the lawsuit. It was pretty much a pre-Starbucks world. Back in February 1992, when Stella Liebeck ordered the 8-ounce cup of McDonald’s coffee that would famously spill and turn her, briefly, into a court-made millionaire — until the amount, the video reports, was lowered to about $500,000 — we were not the coffee culture we would become. For those seeking reforms in the legal system since a jury tried to award Ms. Liebeck $2.9 million for the third-degree burns she suffered from the spill, little has changed despite efforts to cap multimillion-dollar verdicts like her original amount. But when it comes down to the morning brew at the center of the case, a lot has transpired in the two decades since the lawsuit caused such an uproar. We have become a society that totes hot liquids everywhere. Our palms seem to be permanently attached to an elongated cup with a plastic lid. This is partly a matter of growth and supply. The point is, the world now caters to the coffee drinker. 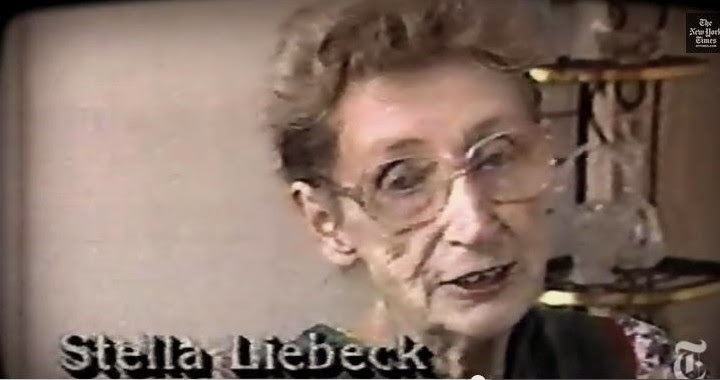 The idea of getting into a car without cup holders and lifting the lid off the cup in order to add milk and sugar and drink the coffee, as the facts of the case show Ms. Liebeck did that morning, seems strangely anachronistic. Within the ensuing years, some genius invented a sculptured lid with a little sipping hole in the top, eliminating the need to open the cup and reducing the potential for spills. Sloshing grew less likely once the lip was raised above the cup rim. Let’s not forget the evolution of the cup holder. Teams of car engineers continuously work to perfect their design for drivers in the front and those passengers two rows back. Coffee technology has definitely come a long way. In other words, a cup. But not just any cup. This one — called Versalite, with 20 patents pending, and currently being tested in several markets — is a disposable cup that insulates the liquid to keep hot coffee from cooling but also to keep the cup from feeling hot to the touch. “We’ve known for a long time that there’s been a need for a better insulating cup,” said Jon Rich, president and chief executive of Berry Plastics. (Incidentally, the Versalite cup performs the same function for cold drinks.) Not to mention the variety of insulated, metal refillable travel mugs, with any number of push-button, sliding openings from which to sip a hot or cold brew. But all of this means we are even more lackadaisical about the potentially scalding liquid we carry. We nonchalantly sip coffee over babies, while pushing them in strollers (and stow them in the holders intended for bottles and sippy cups). We jostle one another on crowded subways and buses while clutching our coffee cups. We take them to class, carry them through stores, in libraries. Museums seem to be one of the few places that forbid them. Sure, warnings, then and now, are plastered all over cups and tops: “Careful, the beverage you are about to enjoy is extremely hot,” says the Starbucks cup. “Caution Contents Hot,” says the lid. “Caution Handle with Care I’m Hot,” says the McDonald’s cup. Nevertheless, an average of 80 people a year are hospitalized for coffee and tea scaldings at the William Randolph Hearst Burn Center at New York-Presbyterian/Weill Cornell Medical Center, said Dr. Robert W. Yurt, the chief of the division of burns, critical care and trauma. Seventy percent of them were children under 6 years old, he said, though the majority of those accidents occurred at home. During the Liebeck court proceedings, McDonald’s said it served its coffee between 180 and 190 degrees. The company has refused to disclose today’s standard temperature, but Retro Report shows a handbook for franchisees calling for temperatures 10 degrees lower. At my local Starbucks, I asked the young barista who took my order (grande 1 percent latte) how hot the store brews its coffee. “We brew it at 200 degrees,” she said. (That is also the standard recommended by the Specialty Coffee Association of America.) But the serving temperature is lower than McDonald’s was back then. “We let it sit for a half-hour,” she continued, “so it is about 170 or 180 when we serve it.” These days, with so many choices on the coffee menu, customers may be more protected today from a scalding by inadvertent shields. In 1992, little in the way of milky coffee drinks was available that would act to drop the temperature a few degrees. After all, the word “latte” — whether whole, skim or soy — had yet to become part of the mass lexicon.